Republicans are going to vote Republican. It’s what they do when they show up to vote. They don’t seem to mind being *not* represented. Fortunately, only 27% of Americans identify as Republican and lots of those are fleeing from this cruel and unusual cult of personality. The rest of us are scared, confused and pissed…D’s, Ind’s and the rest of us non-racists, who don’t abuse PoC. The rest of the humans on earth are disgusted and up in arms about it too. 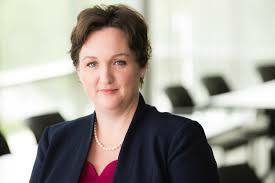 Katie Porter is a UC Irvine Law Professor who showed interest in representing #CA45 early on. We noticed Walters had ‘ghosted’ us the day after the election. ‘Ghosting’ is when somebody disappears from your radar…stops showing up, calling or answering you in all ways…as if they never existed (e.g. “We had a great 5 dates, then he ghosted me”). Katie attended our Town Hall on May 31, 2017, along with thousands of other people. Having heard absolutely nothing from Walters at that point, voters collected thousands of signatures on a petition to change that. The petition was delivered electronically and boxes of hard copy forms were hand delivered to all of Walters known office locations. Having heard nothing, we planned and announced a well-attended event and sent invitations everywhere we knew Walters had been photographed in, and her offices. With thousands in attendance, Walters didn’t care enough to show up and meet us. I’m not sure Katie decided to run before that meeting. I am pretty sure she left the event with a plan forming in her mind, though. Porter has strong positions on “hot button” issues that Southern Californians value and prioritize. ***Porter will always protect a woman’s right to choose and believes that women’s health care and birth control shouldn’t be a luxury. She will fight any efforts by Republicans to defund Planned Parenthood, restrict access to birth control, or ban the right to choose. ***Is a “Moms Demand Action Gun Sense” Candidate and does not accept contributions from the NRA. ***Katie believes that quality public education is the bedrock of the American dream. She supports increasing our investment in education, expanding early childhood education and making college more affordable for our kids. Refuses to speak with, or meet constituents who don’t have deep corporate pockets. Constituents who tried to contact Walters were told by staffers that they didn’t know where she was, and they were painfully oblivious of her positions on any subjects we inquired about. “Where was Walters yesterday (1st Womens March)?” was something they did not know. Walters presents as pro-woman, pro-family in public. This is how things were before ACA, horrid. ***Against children, casting a yes vote to pass H.R. 2, the Farm Bill which, among other things, strips all funding from the Supplemental Nutrition Assistance Program (SNAP). CHIP defunded, too. ***For Trump Tax Bill, which gave trillion dollar tax cut to the top 1% and a windfall to corporations. ***Farm Bill, which gutted three critical pillars: 1) It strips funding for the Supplemental Nutrition Assistance Program (SNAP), 2) Loosens environmental regulations, and 3)Weakens animal protections. ***Add work requirements if enrolled in Medicaid. Changes to Medicaid and other health programs would account for $1.5 TRILLION stolen from our taxes to pay for the tax cuts to the wealthy.